I enjoy the yearly tradition of choosing a word for focus on for the year. In past years, I have chosen JOY, ORGANIZED, and other words. 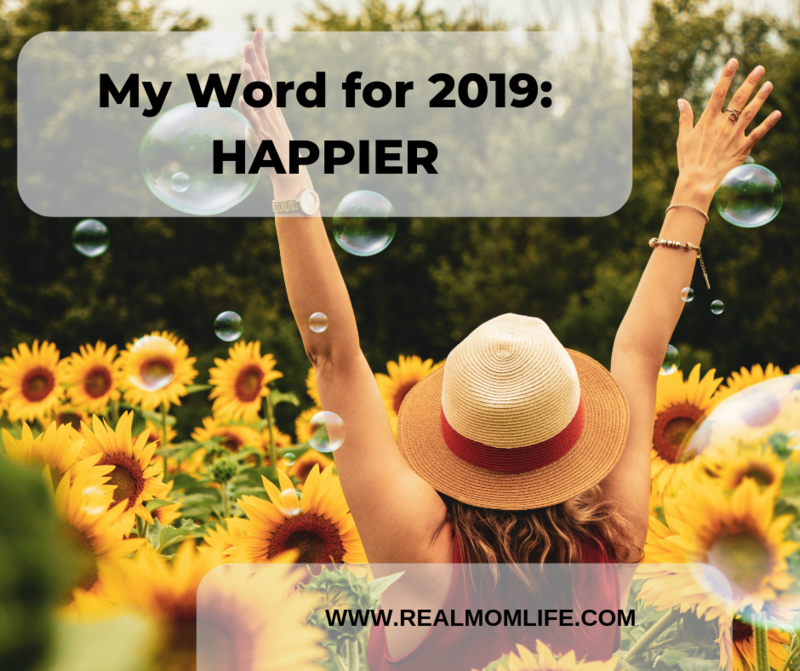 This year, my word is HAPPIER! I want to focus on a happier heart and a happier head. I will seek to make my personal life, my family life and my work life simply happier. What does it mean to be happy? I’d like to unpack a few thoughts. Happy people focus on what’s happening right now. They know that whatever happened in the past, stays in the past. There’s no point mourning about it in the present. So, they make the most of what they do have. They learn from their mistakes and failures in the past, but they don’t dwell on it too much. Which is the exact opposite unhappy people do. Most people are unhappy because they let themselves get too attached to the past. Can you let it go? Can you move on and focus on what you’ve got right in front of you, right this very moment? If you struggle with this, you’re going to miss out big time on the present, and you’ll only add it to your long list of things you regret. Happy people aren’t naive. They know the future is important. They can’t simply live in the present, and not have a good plan for the future. Happy people are optimistic about what the future holds. In contrast, if you’re dreading the next thing to happen to you, there is not much room in you for optimism. What is the next thing to happen is something fabulous? Can you be open to the possibility? Gratitude is often overlooked in one’s quest for happiness. It’s so easy to look beyond the good things you do have and go straight to wishing for things you know are way out of your league. Can you choose to be thankful for what you have? Can you choose to appreciate the wonderful? Several years ago, I went through a significant depression. My spouse was battling cancer and my eldest daughter was descending into mental illness and drug addiction. I think about that song every day and reflect on the wonder around me, whether it is how the fog hangs across the highway as I drive, or how the ice crystals sparkle on the sleeping tree branches. Happier people are thankful for the wonder all around them. Happy people know how to roll with the punches. They don’t dwell on whatever negative thing’s happening to them right now. They take it all in stride. They try to find the humor in everything. This is why happy people are such a joy to be with – they help other’s see things in a different and more positive light. Having a sense of humor. Would having more money, a nicer house, more clothes, or buying that $500 purse that I’m convinced I simply must have make me feel happier? Presence, optimism, gratitude and humor will definitely increase my happiness – and yours. Will you join me in committing to happiness for 2019?